The Western Pacific island, which is a US territory with military bases critical to US operations in Southeast Asia, has been threatened by North Korea before. Most recently, North Korea threatened to strike Guam after Donald Trump’s improvised threat to unleash “fire and fury” on the country. They later took it back, and now it seems the threat is back on the table. Guam, for its part, is taking this all in admirable stride. Though tensions between North Korea and the US appear to be escalating, Guam doesn’t seem especially concerned about North Korea right now. 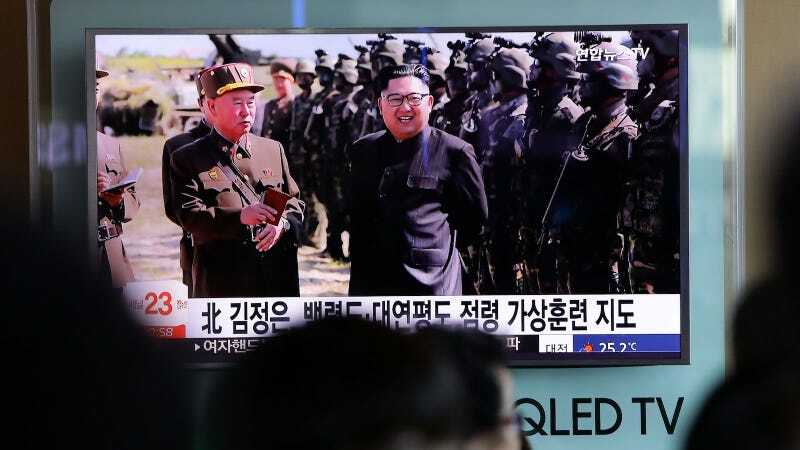 “We knew, based on North Korea events in previous years, that with the joint exercise between the US, South Korea, and its Allies, we can expect rhetoric and activity in North Korea,” George Charfauros, Guam homeland security adviser, told CNN. The changes in North Korea’s testing behavior are consistent with an increasingly capable and dangerous long-range ballistic missile program. Although North Korea’s missile program originated with a few, often disparaged tests in an isolated corner of the country, it has evolved into an arsenal of delivery systems capable of deploying a credible nuclear threat. As North Korea’s most reliable missile units train for nuclear war, rapidly improving longer-range missiles remain under development. May calm, Guam-like heads prevail all around.